That looks interesting. I notice it has bass and treble but no mid. In recent years I've taken to turning the former two down and the latter up, regardless of the amp. It's good that they have them in stock and I'd be able to try it - I wouldn't have thought such amps were carried as a matter of course. Here's what you could do, get one brownface channel (more mids) and one blackface. I think that's what I'd do. I'd never have thought of it that way, which is one of the reasons for consulting you about it. Anyway, fwiw, I've been thinking it over and almost decided on the Quilter 101 Reverb/cab until my living accommodation changes. I'm not wanting to appear blasé or flippant about it, but the fact is it's not a financial issue for me to buy that first and then a (for want of a much better term) real amp later. That sounds like a good plan, and it may turn out that the Quilter is all the amp you need. You'd also have the option of going on a speaker hunt for the Quilter cab, though the Celestion speaker they use is well regarded by jazzophiles. Maybe it will, yes. Thanks for your help. I'll keep you updated. And I'll keep looking for updates about your own next amp. This is what it's all about for me, all the guitar and bass noodling, my equipment fetishes, searching for the sound, that sound. To get the Phil Lesh sound I bought a Guild Starfire II bass and strung it up with Pyramid flats. The Jerry Tone™ can be approximated on either single or dual coil pickup guitars. This guy does great demos. Yeah, a good demo with just enough chat to augment the playing. I bought a speaker from Lithuania today. It's no longer made, hasn't been for a number years, yet it's brand new in a box, a Fane AXA 12. A Fane guru I trust looked at it and gave the OK, it's legit. Cool. Hooked it up to anything yet? It will take time for the speaker to arrive, at least a few days. Ah, right. Well, it'll give you time to think about it. And I suppose it'll need a period to break in correctly or something? I don't really have a way to break speakers in quickly, I guess it will happen naturally. The theory of "breaking in" eludes me. It's a real thing with paper cone musical instrument speakers. Think of the cone as consisting of fibers that adhere to each other like scar tissue. You need to break up the adhesions for the cone to be properly flexible. This gives rise to a very common misunderstanding about new versus old speakers, with new ones deemed not as good. Sometimes they are near identical and the difference fades, sometimes they really are different. Sometimes people like the sound of an old worn out speaker and think that's what a 1965 Jensen C12N sounded like in 1965. I think it's quite likely that the 1965 Jensen actually sounded close to how a 2019 Italian Jensen sounds today, either brand new or broken in new. A couple of my speakers were broken in by the builder, a world renowned authority on Celestion vintage speakers. He has a huge collection of originals and his own speakers are designed to be more faithful to them than what Celestion builds today. He breaks them in so you don't have to wait for them to loosen up. Oh, I understand material fatigue, I don't understand why it would be good. I guess the answer is that for a musical instrument speaker you don't want a pure sound, you want sound that is distorted in a pleasant way, or the way it sounds on an old Muddy Waters album. I guess it is the people who think they have to break in a solid state amp that really mystify me. Oh, I understand material fatigue, I don't understand why it would be good. I guess the answer is that for a musical instrument speaker you don't want a pure sound, you want sound that is distorted in a pleasant way, or the way it sounds on an old Muddy Waters album. I wouldn't call a few hours of break in material fatigue. 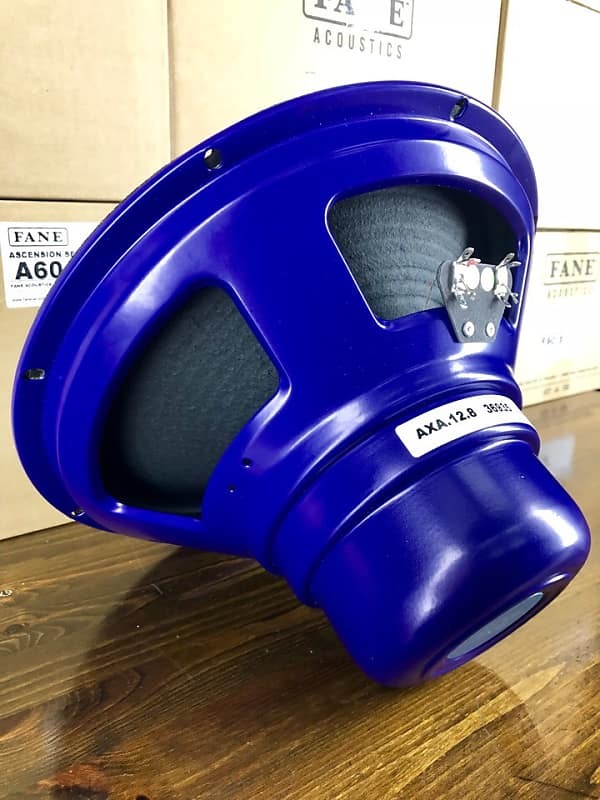 While it might be seen as ideal for a speaker to sound optimal right away the manufacturing process might not allow that. Once a speaker is broken in it will continue to sound the way it's meant to for many years and even decades, until it succumbs to actual fatigue. Another complicating factor is that not all speakers are prone to produce the strident, brittle sound others do before they are used for awhile. Some are notorious for how long they take to settle in. My new speaker made its way from Lithuania to Riga, Latvia and as of today NYC, so it should get here soon. Here is my tale of semi-woe. Evgeny in Vilnius sent me the wrong speaker. It's a Fane A60, and I have one of those. I contacted him and we worked out a deal where I buy the A60 at cost (I'll sell it) and he'll send the AXA 12. I just got an email with the tracking #, so it's going to be all right.